At present, there are several numbers of flooring methods available. Hence, based on our requirements, we are choosing flooring systems to our house. Apart from those floorings systems, one of the perfect options for us to make our house friendliness to surrounding is cork floors. The Cork flooring is really an environmental friendly flooring option which provides customers a wide range of attractive styles as well as colors on flooring. 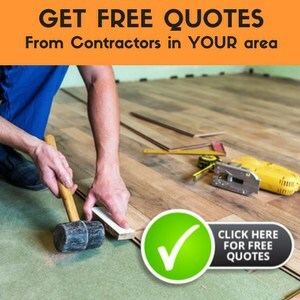 In addition, with the help of sound absorbing and insulating qualities, due to this reason it is foremost options for flooring. The approach of making a cork flooring begins with the harvesting material form a cork oak trees which do not need to be cut down to offer the cork. Thus, cork is peeled from the bark for every nine years, just leaving the rest of the tree unharmed. In fact, cork flooring can recycle cork wine stoppers, further increasing its environmental kindliness. When you think regarding cork, then you may think suddenly of small corks or wine cork plugs which are mainly used to plug bottles of various shapes as well as sizes. Thus, you may have an experience of a cork specifically used in wine bottle breaking off into your wine. If this instance has occurred to you, then you may be shocking if cork actually is strong material for a flooring option. Probably cork is one of the strongest materials for flooring options currently available on the market. The springy nature of cork offers natural cork flooring along with cushioning properties. In addition, its resistance to water damage corks floors perfect flooring material for every room, especially in the kitchen where you frequently spend your time on your feet. It’ssponginess makes it an outstanding sound absorber, different hardwood floor, which avoid the noise from an object when dropped on it otherwise from individual walking on it. The cork flooring material has mind-blowing features such as elasticity, anti-static properties as well as elasticity. Due to these features, it works perfect for all kinds of area and they can also finish furthermore improving its resiliency. In fact, suberin is a fire resistance and it does not release any kind of toxins in case if it burns. The installation of cork floors can be done by, either through floating floor method or glue down method. The cork floating floorsare the leading approach of installation due to the trouble free of associating the interlocking sections as well as due to them does not require securing to the floor under. Still now, it is highly recommended for customers to only install cork floors flooring over hard surface like ceramic, wood otherwise vinyl as well as not above carpeting. Floating floors do not necessitate the waiting instant which glued-down floors do previous to walking on them. Here are five easy steps which help you to install floating cork floors easily and by your own. Initially, you have to remove some kinds of appliances as well as furniture from the room. The score joint between the top of the baseboard as well as the wall along with a utility knife cutting via paint and caulking as well as then eliminate the baseboard with the help of a pry bar. In addition, use a scrap piece of thin lumber towards the wall to guard it while levering the baseboard away from the wall. They start laying the floor on the biggest wall and lay on row of tiles to ensure you don’t end up with a tiny piece on the end. In case, if you perform, cut a tile in half and lay it towards the highest wall as well as lay out the tile once again to observe, if you end with a huge sufficient piece. Now, place a piece which is present next to the doorjamb to conclude the right height to place the jamb. Then slice the casing as well as pry out the pieces along with a screwdriver. Now, slide the tiles below the casing as well as marks the points to cut. Then extend the lines by using a speed square as well as make the cut out with the help of the jigsaw. Now, set the first complete tiles in place and the second as well as following tiles just snap on the previous tile.Now, snug the tiles mutually with help of tapping block as well as now straight cuts made for sliding compound miter saw. Thus, these are the installation process of floating cork floors. Simply follow the instructions and install cork floors in your home and live environmentally friendly.